Paris: Albert Messein, Editeur, 1925. 1st. Original Wraps. Collectible; Very Good. 1925 1st edition, 1 of 1,500 copies issued. VG in its original wrappers, with darkening along the spine and very light creasing at the panel edges. 12mo, 245 pgs. The bookplate of renowned translator Samuel Putnam at the front free endpaper and very small, neat former owner name at top of front panel. Berlin: Verlag Von Reuther & Reichard, 1928. 1st. Cloth. Collectible; Fine. 1928 1st edition, complete in 3 volumes. "Mit Schrifttafel, Paradigmen und Ubungsstucken zum Selbststudium und zum Gebrauch in Vorlesungen". All volumes bright and clean and Near Fine in their red cloth with bright gilt-lettering to front panels and spines. Quartos, 405 pgs. all told. London: Cambridge University Press, 1970. Cloth. Collectible; Very Good/Very Good. A crisp copy of the 1970 2nd printing. Clean and VG+ in a bright, price-clipped, VG+ dustjacket. Octavo, 283 pgs. The Laureate Press, New Jersey. Soft Cover. An exhaustive 3 volume history of Jewish life and culture and creativity in Vilna, Lithuania. Spanning 500 years, from the earliest days until just after the Holocaust. Over 1000 pgs. of photographs and documents and text in 4 different languages (English, Russian, Hebrew and Yiddish). Vols. 1 and 2 are tall hardbacks, folios, bright and clean and VG+, in red cloth with pictorial gilt design. Vol. 3 is in a smaller format, quarto, in wrappers, a nice copy, bright and VG+. A handsome example of this 3 volume set, a substantial and important piece of Judaica. Kelly and Walsh, Limited, Yokohama, 1920. Hardcover. 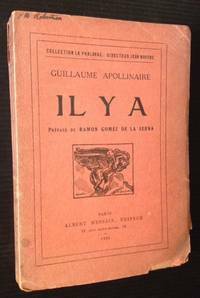 1st English edition (circa 1920s). Handsomely rebound in a red cloth with leather spine label, this is a well-preserved, VG copy. 12mo, 590 pgs. plus glossary. New endsheets bound in as well with former owner signature.